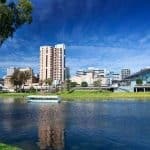 Not sure what to do in Glenelg, Adelaide? 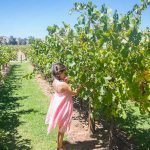 There are plenty of things to do in Glenelg from the beach, a walk along the Glenelg pier, see marine life, indoor and outdoor playgrounds, café’s and the boutique shopping along Jetty Road. 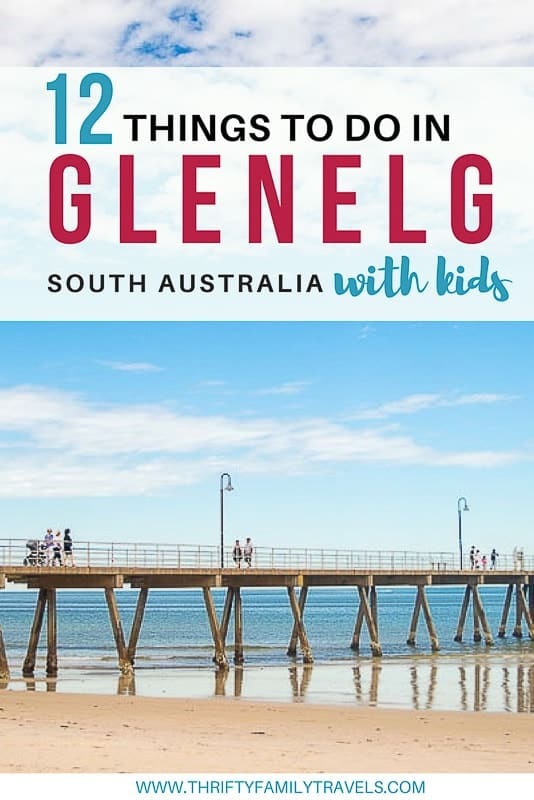 Keep reading to learn more about the Glenelg attractions. 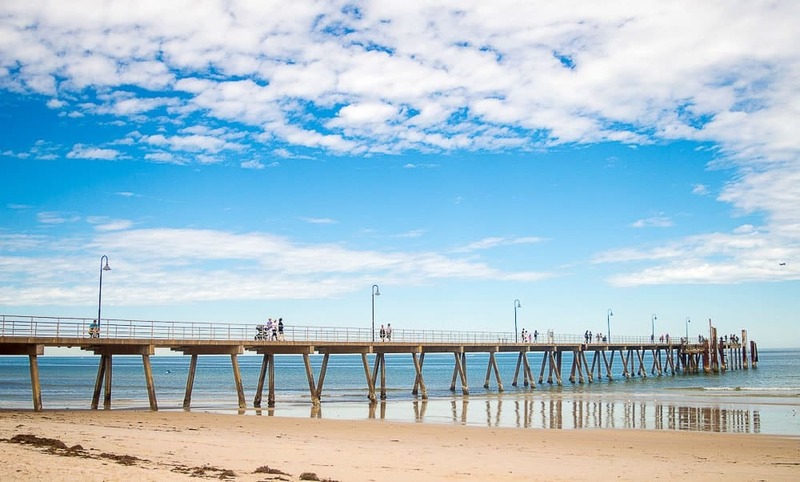 The outdoor life is easy at Glenelg Beach, said to have a Mediterranean climate, of warm dry summers and cool mild winters. Swimming and playing in the sand with a picnic can take all day sometimes, plan to stay and watch the stunning sunset. As the sun hits the water, the sky burns a range of deep reds oranges and purples. The Glenelg Beach is patrolled by the Surf Lifesavers between the yellow flags, it is a good idea to swim between the flags if you are unaccustomed to the changeable Australian Surf conditions. and raised and sunken pods for seating and play. Bordering the beach, lined with shops and cafes and the Town Hall. 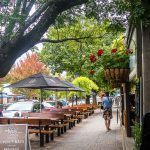 Mosely Square is a vibrant space, and one of the cool places in Adelaide to visit. Events and markets are held here, even $5 Yoga sessions on Saturday and Sunday, run by the Moseley Beach Club. 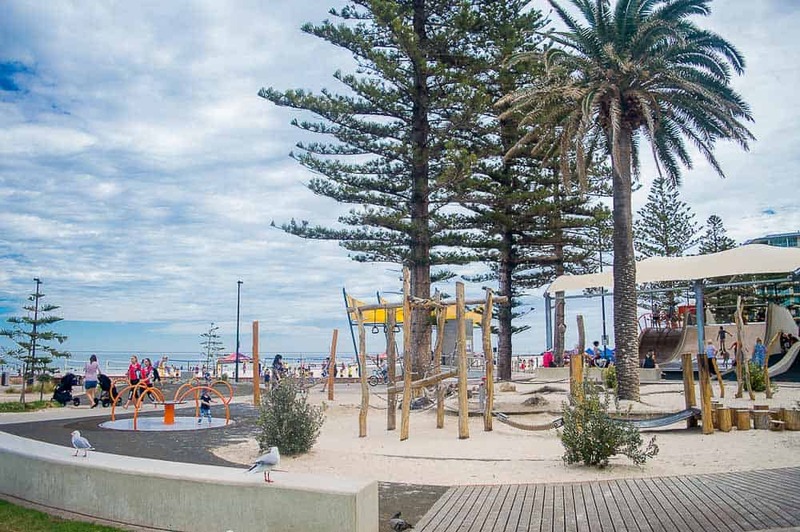 A main attraction for kids and families at Glenelg, The Beachouse is definitely among the best places in Adelaide for kids, there is free entry to the amusement complex. Paying $2 for a “Fun Card” to load with credit and pay for rides. Plenty to do and not just for kids, there is also a café onsite. The Waterslides are heated and the WiFi is free! Things to do include; Waterslides, Dodgem Cars, Carousel, Mini Golf and Arcade Games. The Beachouse is open 7 days. Browse through 2 levels of interactive multimedia and learn about the history of Glenelg and its people. Fine art and varied exhibitions, add to the sensory engagement for visitors. Located in the Town Hall at Mosely Square and open daily from 10-4 (closed Christmas day, New Years Day and Good Friday), the entry fee is a gold coin donation. 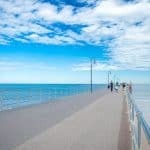 For a different point of view, take a walk along the Glenelg Pier. 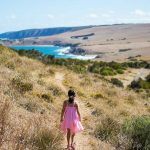 Located at the beach, it is a perfect spot to watch the sunset, take a picnic and enjoy a free family activity, great for photography enthusiasts. Originally built in 1859, the pier which now stretches 215 metres out to the ocean, has been rebuilt and shortened by over 150 metres. Tales of freak cyclones and fire provide a rich history, some of which still lay under the water. Jetty Dives offer dives here, you can see a thriving marine life amongst the wreckage below, only 6 m deep, even the sunshine may join you down there. Over 300 boutiques, galleries, café’s and gift shops line Jetty Road. Running directly to Mosely Square and the beach, this kilometre long stretch, provides access to unique fashion and handmade gifts. A must see here is Haigh’s Chocolates, open 7 days from 9am, it is a 5 minute walk from the beach. Here you will find beautiful handcrafted chocolates, to feast with your eyes as well as your tastebuds! The Grand Bar: What a view, overlooking Mosely Square and the beach, The Grand Glenelg is located on the ground floor of the Stamford Grand Adelaide Hotel. With flexible dining times and options, and regular live music, The Grand Bar is open 7 days. Broadway Hotel: Located on Broadway, a nine minute walk to the beach, Broadway Hotel Glenelg offers inside and outside dining, a relaxed feel, and usually an extended happy hour. 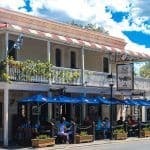 Share plates are available for casual dining and meal specials are regularly promoted. Glenelg Jetty Hotel: Located on Jetty Road, at the Mosely Square end, you can enjoy a hearty meal, light snack or seafood platter, craft beers and gins and live music every weekend. Watch the world go by, with a glass of wine or a cold beer. 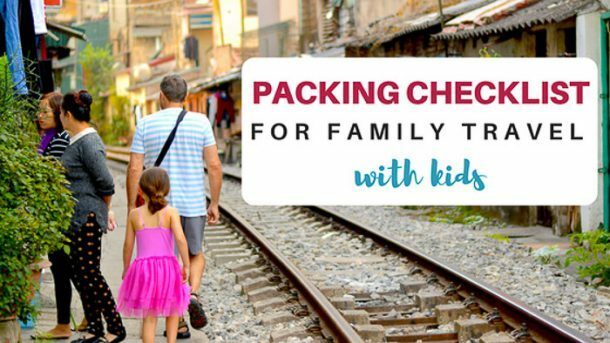 Alternatively, there is a Coles on Nile Street or a Woolworths on Brighton Road, and a Foodland on Partridge St, shopping for a picnic can save you some money, rather than eating out all the time. 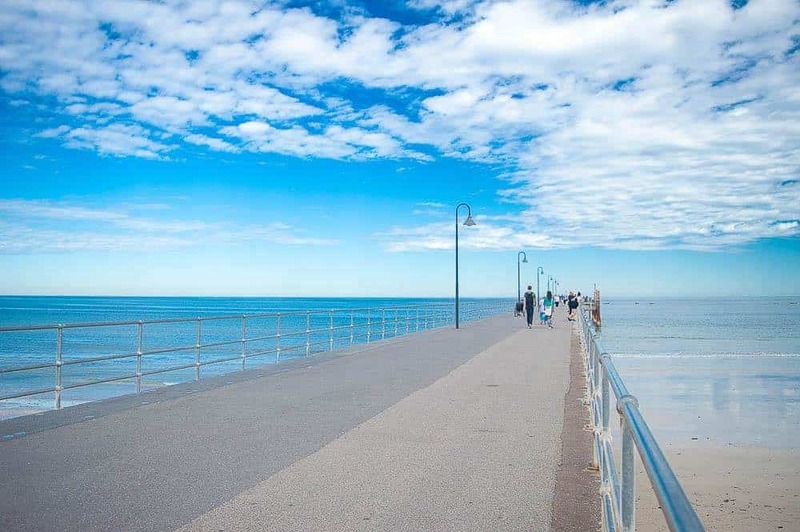 The Marina is located at the end of Glenelg Beach, a 7 minute walk from Mosely Square. Overlooking Holdfast Bay and purpose built, it provides a haven to many luxurious boats, and seafood restaurants. Offering different vantage points, the Marina is another great spot to enjoy the beautiful sunsets. For the thrill seekers, sky diving is available. Tandem jumps are available through The Coastal Skydive company, boasting, “Coastal views and soft beach landings”. 96% of people rated Coastal Skydive excellent on TripAdvisor. What a great way to see the coastline, bay and city of Glenelg, or maybe whale’s and dolphins. Dolphins are gentle peaceful animals, seeing them up close in their natural environment is sure to be an experience of a lifetime. Imagine swimming in the clear waters of the Indian Ocean with these amazing creatures. 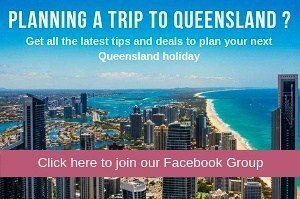 Click here to view prices and / or make a booking. 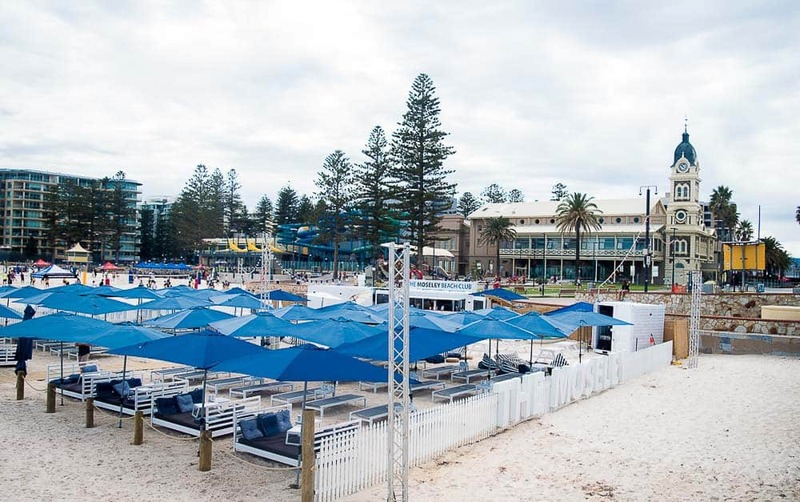 See the sights of Glenelg by Pedal Bar, designed and engineered for fun, you are driven around Glenelg with a drink. A choice of soft drink, wine, champagne, beer or cider. Open to the environment, with a roof overhead, you can experience the beach tracks, natural reserves, Moseley Square and the Marina Pier. Glenelg is located 20 minutes outside of the city centre. 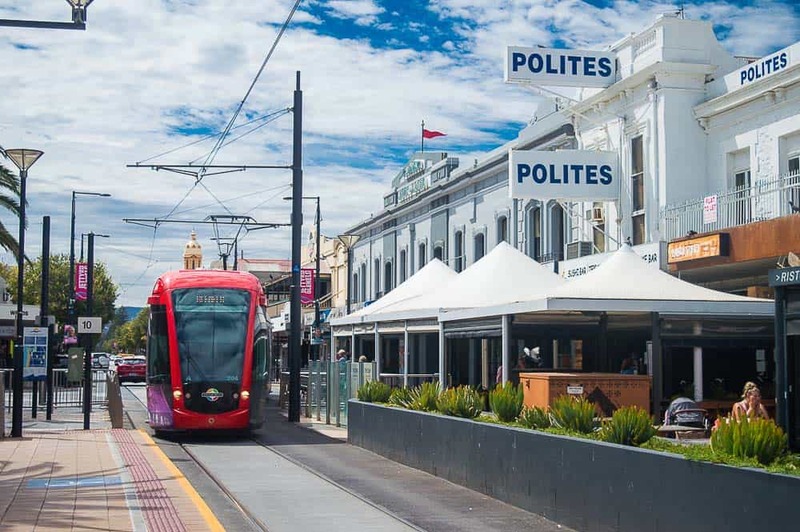 You can drive or take a bus, but the easiest way is to take the tram from the Adelaide city centre and to the end of the line Stop 17 Moseley Square. 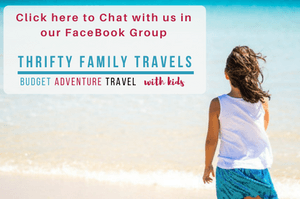 Click here for further detail on our top recommendations on the best family friendly Glenelg accommodation.